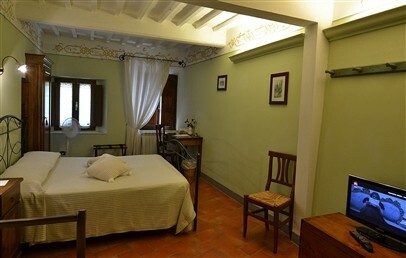 Dimore del Capitano Hotel Diffuso residences and apartments are located in period buildings scattered around the narrow streets of the Medieval town centre in S. Quirico d'Orcia. Most of them are not far from the main street, no further than 150 metres from the Hotel's reception, which is inside Palazzo del Capitano Wellness & Relais. Dimore del Capitano, Villa del Capitano Art & Relais and Palazzo del Capitano Wellness & Relais are all part of the Capitano Luxury Hotel Collection. Dimore del Capitano guests will find the Reception, Garden Bar, Breakfast Room, Garden and "La Grotta di Venere" Spa inside Palazzo del Capitano Wellness & Relais, no further than 150/200 metres away. 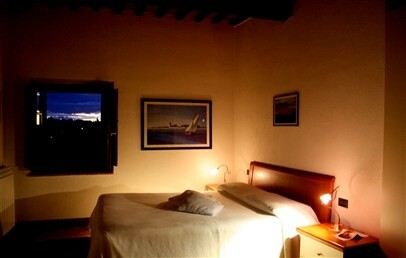 Guests can choose among following room types. Dimore del Capitano rooms have no telephone. Double Economy – 18 sq.m., double bed, NO air conditioning only a standing floor van and heating unit. Free Wi-Fi connection. The Economy rooms can be booked only "room only". Breakfast is available for € 15 per person per day, to pay on-site. 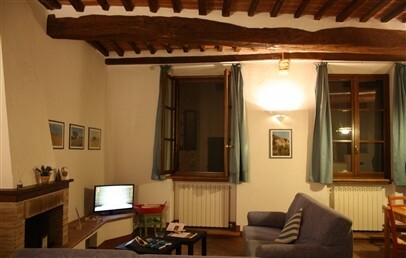 Apartment for two guests – 120 sq.m., with lounge and kitchenette. 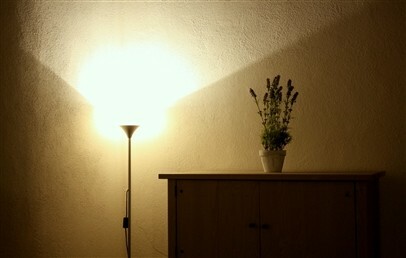 Free Wi-Fi connection in the living room. 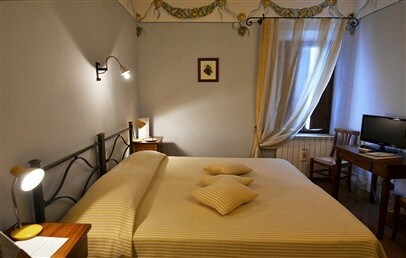 Apartment for four guests – 120 sq.m., with lounge, kitchenette and dining table. Two bedrooms, two bathrooms. Free Wi-Fi connection in the living room. Dimore del Capitano guests have access to the Spa and all its services at Palazzo del Capitano Wellness & Relais. Booking is required. We recommend that guests book their treatments at the same time as they book their stay. All the services offered at Palazzo del Capitano, including the restaurant, are available to Dimore del Capitano guests. Please check the dedicated information page. NO air conditioning only a standing floor van and heating unit. 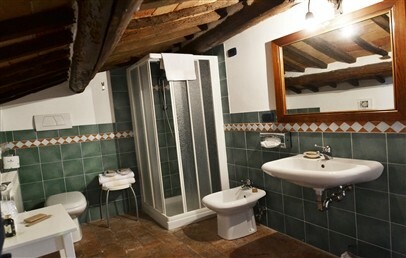 The bathroom has a shower, hairdryer, Erbario Toscano complimentary toiletries. All rooms have free Wi-Fi connection. The Economy rooms can be booked only "room only". Breakfast is available for € 15 per person per day, to pay on-site. 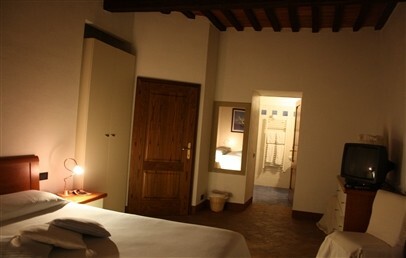 These apartments comprise lounge, kitchenette, double bedroom with en-suite bathroom and shower box, Erbario Toscano complimentary toiletries, soft sponge towels and slippers. Wi-Fi connection in the lounge area. 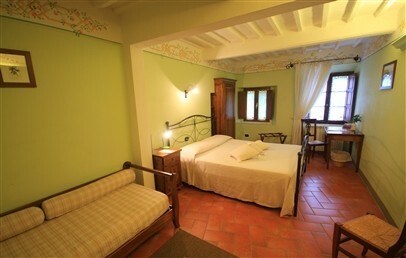 These apartments comprise lounge, kitchenette and dining table, two double bedrooms with en-suite bathroom and shower box, Erbario Toscano complimentary toiletries, soft sponge towels and slippers. Wi-Fi connection in the lounge area. - 10% reduction at the Restaurant Antica Trattoria Toscana "Al Vecchio Forno"
- 10% reduction at the Boutiques "del Gusto" and "del Profumo"